At the weekend’s park runs, Lee Rickards visited Walsall Arboretum and set a personal best of 18.17. Closer to home, Peelers were represented at Kingsbury Water Park with Allan Williams first home in 24.30, followed by Stuart Hatton in 25.08, Owen Slater in 25.27 ahead of Tim Mudd in 26.12, Ian Grigg in 31.00, Caroline Evans 32.09 and Lisa Fletcher returning from injury in 33.20. There were impressive performances at the Abbott Trail 10k in Hopwas with a Peel first and third; Ashley Baldwin taking the win for the second year running in 38.01 with Martin Hollamby third in 41.01 and Darren O’Leary also achieving a respectable 46 24. 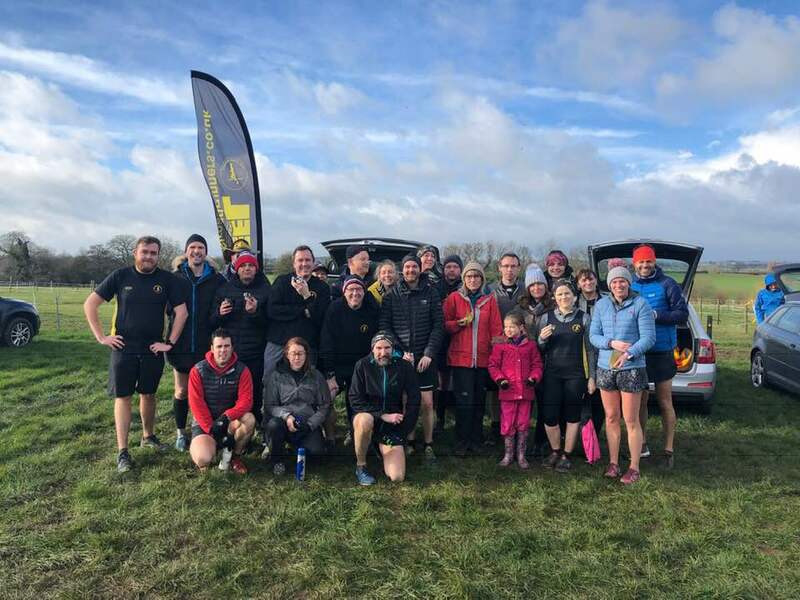 Andrew Pickard had a sleepless night at the Thunder Run 24 hour relay at Catton Park completing three 10km laps in 49.00, 50.29 and 53.39. Also off the beaten track Mark Boffey completed the Aintree 10k in 49.54 to set a new personal best. 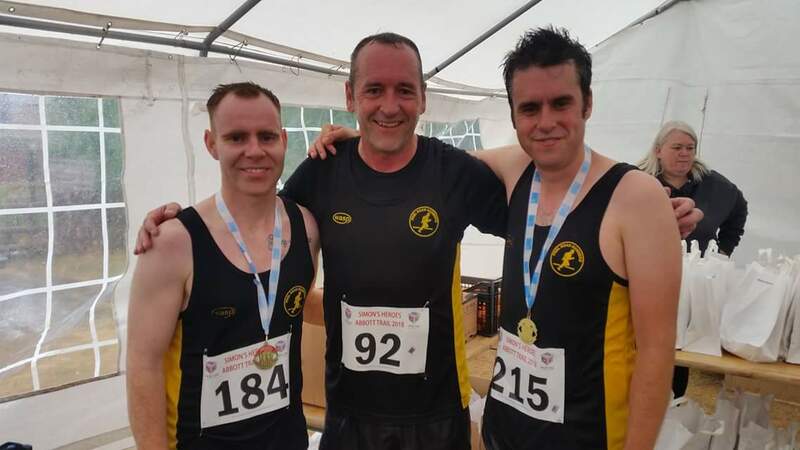 Photograph: Ashley Baldwin (L), Darren O’Leary and Martin Hollamby after the Abbott Trail 10k.